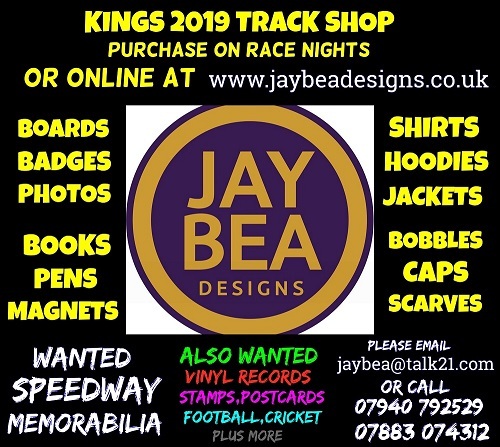 The hottest young property in British Speedway is scorching into Central Park Stadium for 2019 with the announcement by Kent Speedway of the signing of Dan Gilkes. Gilkes has already made a big impression on the Central Park faithful with those two eye-catching late season performances at the track. The Northampton-based teenager’s first competitive action at NL level came at Kent in mid-September representing a Lakeside Select side. 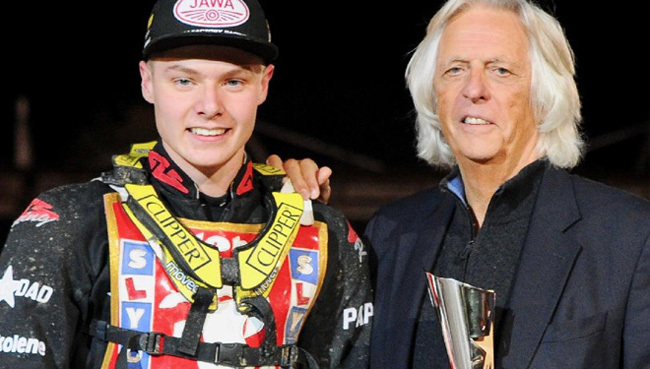 The rider who tore up the Development Leagues during 2018 (starring for Peterborough Thundercats in the Midlands division and likewise for Reading Racers in the Southern version) won his very first race at Central Park that memorable evening, going on to claim three outright and one paid wins in total, to amass a remarkable debut score of paid 12 – taking the hugely notable scalps of Kent’s top two Jack Thomas and Nathan Stoneman along the way. This performance secured an invite to the season-ending Laurels’ individual championship meeting for Dan and he excelled again – taking a race victory ahead of eventual meeting winner Jon Armstrong on the way to nine points in qualification; and then by finishing third in the final becoming the youngest ever rostrum finisher in the Laurels’ long history. It was the culmination of a carefully and maturely planned 2018 where the youngster ensured he got his education sorted while gaining experience of a range of tracks across the length and breadth of the UK. “I don’t go into any meeting with particular expectations – more to gain experience and as much knowledge as possible. These were the positives at this stage of my career rather than the points I scored – although I have to say coming in and scoring double points figures from the start at National League level was a real bonus”. Kent is a location surely written in the stars for the youngster who began racing on a 125cc Speedway machine aged just 10, as those early rides were made at one of the Garden of England’s training tracks – Dan and his father Cory making the three hour drive from their Northampton home to Lydd for invaluable laps of practice and junior racing. Gilkes quickly progressed up to a full sized 500cc bike before he was even 13 years and then entered the British Youth scene once he got to 14 – ultimately taking a runners up spot in the national championship at that level, matching the second place he’d previously obtained in the Auto-Cadet class at Speedway’s sister sport of Grasstrack. “I first went to Speedway at Brandon Stadium in Coventry when I was apparently just two years of age! As I got older, I saw the young mascot there and thought I wish I could be out there riding a bike like him. I got a motocross mini-bike when aged just six and though I enjoyed that and the Cadet Grasstrack too, all I wanted to be was a Speedway rider”. And Dan is quick to acknowledge the massive support of his family and other backers. “With my Dad having been a semi-professional footballer himself and then a football coach, we weren’t actually a family with a motorcycle racing background like some are, so I really have to thank Rob Painter (former Conference League rider and now boss of Speedway’s Team Great Britain ) for the brilliant support he’s given me. My Dad has devoted so much time, energy and effort to supporting my career as has my Mum, Bridgette, my grandfather Peter and I’ve had great support from my number one fan my younger sister, Alix. I couldn’t do any of it without them”. Dan’s mother is a teacher and refreshingly, the youngster has definitely put education first during his schooldays and the crucial Year 11 he has just completed – gaining his GCSEs first before making this step into League racing as a professional Speedway rider. 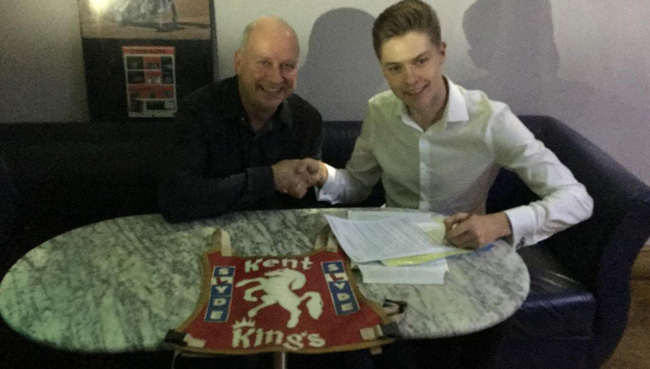 It’s an education carrying on too as the latest young Kent Kings’ rider to be enrolled in the Poultec-sponsored Speedway Training Academy based up in Norfolk. Dan is already backed by some invaluable sponsorship and hoping that now his 2019 destination is set they’ll be others coming on board to add their support.